A graduate of San Diego State University, majoring in Real Estate, William holds the University of California Extension's Real Estate Certificate and is a California Licensed Real Estate Broker. A former member of the IREM as a CPM. A past member of the Building's Owner's and Manager's Association. A current Member of the International Council of Shopping Centers and holds the Certified Shopping Center Management designation. Has had over 13 years experience with the Percy H. Goodwin Company as manager of their Property Management Department. William is currently the President, after having been Vice-President and General Manager of Investcal for the last 37 years. 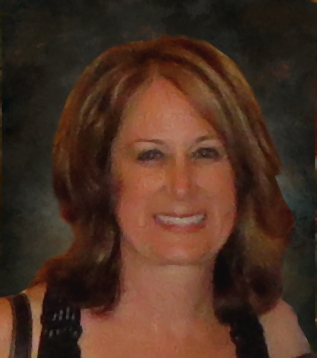 Ms. Dolan-Clune joined Investcal in January, 2009 as Vice President/Director of Property Management. Prior to joining Investcal Realty, Ms. Dolan-Clune worked at Centro Properties Group, Pan Pacific Retail Properties, National Retail Partners, and Burnham Pacific in various management, leasing, asset management, and acquisitions roles. She has been working in the commercial shopping center industry for over 16 years. Ms. Dolan-Clune received her MBA from San Diego State University and her BBA from the University of San Diego. She is a Licensed Real Estate Agent in the state of California, a member of the International Council of Shopping Centers and The Junior League of San Diego. Ms. Dolan-Clune holds her CCIM and CPM designations. Mr.Catron is a graduate of San Diego State University with a B.S. in Business Administration/Real Estate. A licensed California Real Estate Broker and a Member of the International Council of Shopping Centers. Since 1990, Mr.Catron has been a Property Manager/Property Administrator for Investcal. Matthew works as Property Manager and has a Bachelor's degree from San Diego State University. Since 2001, Matthew has been a Licensed Real Estate Agent and is a member of the International Council of Shopping Centers. Mrs. Miesner came to Investical in 2010 with 8 years experience as a Project Assistant with a land development firm. As an Executive Assistant for the Property Management and Accounting Departments her duties include accounting clerk responsibilities as well as various administrative functions.